So, you know how to write a press release, but how do you communicate more general information about your business, product or service? 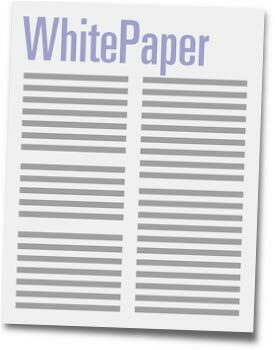 A fact sheet, also referred to as white paper, information paper, or information sheet, is your answer. A fact sheet is an important, at-a-glance tool used in public relations to provide an overall view of your business. Though fact sheets can stand alone, they are more commonly used to supplement a news release or website, anchor a press kit, or replace a brochure. A fact sheet is generally one or two pages and includes the who, what, when, where, why and how about a business. Components of a fact sheet include the below. Click here for a fact sheet template. Your business name, address, phone number, and website address should be on the upper left. If using company letterhead, disregard this step. A contact name, title, phone number, and email address should be on the upper right. Triple space down and type the name of the subject. This should be centered and in upper case. Double space down and type “Fact Sheet,” which should also be centered. The body of the fact sheet is set up in two columns. The left side includes the headings, such as history, vision, mission, purpose, future, etc., all in upper case lettering. The right side contains the heading descriptions. The descriptions should consist of short sentences that align under the second column. If the document is longer than one page, type “-more-” at the center of the bottom of the first page. At the end of the fact sheet, “###” should be centered and inserted. Finally, double space down and type the month and year, flush right. Once you have a completed fact sheet, create a clear and specific distribution plan so you can ensure that your target publics receive the information. Begin with deciding which publics you want to receive the items and the best way to get them into their hands. For example, you may want to include the fact sheet in new customer mailings, emails, and on your website.